Galup's Classic Colomba is a fine example of the traditional Easter cake, made to a recipe that has remained unchanged over time. The quality of the product is ensured by the careful choice of raw materials: fresh eggs, selected wheat flour, Piedmont hazelnuts, fresh milk, excellent butter and candied fruit made only with sugar. 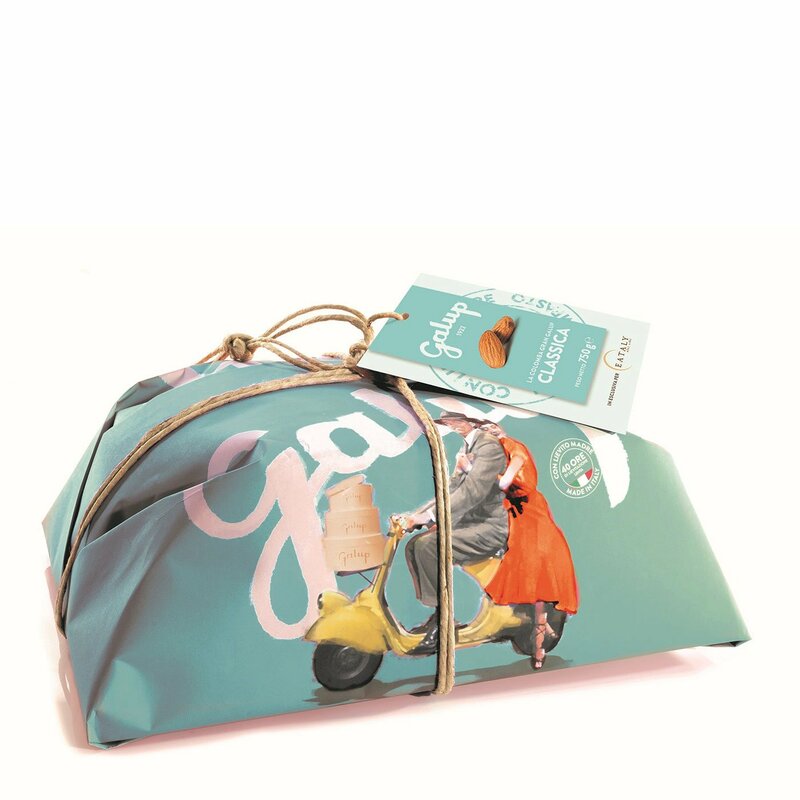 The classic Galup colomba gives you all the goodness and flavour of artisan baking, for a sweet and enjoyable Easter. Ingredients Soft wheat fl our type “0” - Candied orange peel (Orange peel – Glucosefructose syrup - Sucrose - Acidifi er: citric acid) - Sugar – Butter - Egg yolk of fresh class A eggs - Emulsifiers: mono and diglycerides of fatty acids - Natural yeast (Soft wheat flour type “0” - Water) - Whole fresh milk – Invert sugar - Salt - Flavouring. Frosting 15%: Sugar - Egg white of fresh class A eggs - ‘’Nocciola Piemonte IGP‘’ (Piedmont Hazelnut) 9% - Rice flour - Rice starch - Sunflower seed oil - Flavouring. Granished with sugar grains 4% and whole almonds 2% May contain traces of other nuts and soya. For more information on product labels, please contact our Customer Service department. The information on the labels of the products may vary for reasons beyond our control, therefore, there may be discrepancies between the information on the site and that on the products delivered. Please always check the information on the product before consumption or use.